Outside the heavy wooden gates that guard the Neemrana Fort-Palace against unwanted day visitors, local villagers and the curious, a dusty, winding path leads back to the highway. In 2003, this path was no more than a narrow lane, so narrow that two vehicles could not pass side-by-side, and to find it blocked by the carcass of a dead pig brought a caravan of writers to an unexpected halt. The writers had been brought to Neemrana by the ICCR and by a team of enthusiasts, current Jaipur Literature Festival director Namita Gokhale among them, who felt that India needed a festival of its own. Delhi in particular, and India in general, was no stranger to these events. The Mughals held their grand mushairas, so splendid, so challenging and so famous that Farhatullah Baig could create an imaginary Last Mushaira of poets from across the country, with imaginary sawaal-jawaabs, in the court of the last Mughal, Bahadur Shah Zafar. One of the big questions at any gathering of this sort is a simple but unsettling one: what does this curiosity mean? The audience at Neemrana was missing—the idea was to allow writers to spend time with each other, undisturbed by the voices of the masses. They would go back to Delhi and spend another two days discussing versions of the topics they had already discussed, this time with the public in respectful attendance. In 21st century Delhi, book launches and festivals like the Neemrana festival were not precisely the kind of “cultural recreation” Nirad C Chaudhuri spoke of, which had its roots in the tradition of the “adda”, the teahouse discussions for which cities like Calcutta and Bombay had once been famous. Book launches were symbolic displays of an author’s importance, often displays of status and power, in a city ruled by the need for both; they were, geographically, held almost exclusively in South Delhi, and areas like Pitampura, Badarpur, Shahdara and Shalimar Bagh lay well outside the charmed circles of the India Habitat Centre and Aqua at the Park. As the writer Amit Chaudhuri said, Delhi’s incestuousness had infected literary circles as well; the capital, notoriously an insiders’ city, had bred a culture where everyone in publishing knew everyone in the media and everyone on the writer’s circuit. It was the joint family approach to literature, and while it had an upside—a newcomer could find his or her feet quite quickly, transitioning to insider status in less than a year—it was also, in many ways, damaging, masking a hollowness that showed in the shrinking spaces for book reviews, or real literary debates as opposed to manufactured controversies and warmed-over gossip. Publishing in English had flourished in the last 15 years, generating an appetite for what often seemed the wrong things—the spurious fame of the ten-second TV appearance, the appearance of a world where literary importance was measured by column inches, prizes won and sales figures. By 2003, there were two small but telling signs that a certain kind of literary culture was on the wane—many of the great critics of their time, Arvind Krishna Mehrotra and Alok Rai among them, had almost stopped writing for book review pages, and the space for translation, or for the voices of writers who wrote outside the gates of English, had also diminished in the world of the English language media. For two days, then, Neemrana played host to the Indian literary pantheon. The roll call included Vikram Seth, VS Naipaul, Amitav Ghosh, Ved Mehta, Amit Chaudhuri, Khushwant Singh, Dom Moraes, Arvind Krishna Mehrotra, I. Allan Sealy, Farrukh Dhondy, Pico Iyer, Nayantara Sehgal, Shashi Deshpande, Kiran Nagarkar and Keki Daruwalla, Githa Hariharan, Ruchir Joshi, Imtiaz Dharker, Mukul Kesavan, Amitava Kumar and Anita Rau Badami. So were U.R. Ananthamurthy, M.T. Vasudevan Nair, Paul Zacharia, Shrilal Shukla, Sukrita P. Kumar, Sunil Gangopadhyay, Ashokamitran and Bhalachandra Nemade, leading the contingent of Indian writers who do not write in English. The writers, separated from their audiences back in Delhi, squabbled, doodled and argued their way through an endless series of panel discussions. A heated argument between Naipaul and the German ambassador’s wife had the Nobel laureate threatening to leave; a clash between Naipaul and Nayantara Sahgal fuelled further gossip; Khushwant Singh slammed regional writing for failing to produce biographies and innovative non-fiction; Srilal Shukla watched sardonically as another version of Raag Darbari, complete with courtiers and battles of royal intrigue, played itself out. The debates could swing from amity to bitterness in a second, and then back again; the argument between English versus the Rest of India has roots that go back almost two centuries. In the late 19th century, Bankimchandra, author of India’s first novel in English (Rajmohan’s Wife), had a political change of heart. The switch he made, after learning to write in English, the language that had brought him and many others in Bengal a refreshing sense of a wider world and of that era’s debates over political liberty, when he chose to return to Bengali was a political, not an emotional, choice. He had worked hard on Rajmohan’s Wife, encountering almost all the problems that Indian writers in English would subsequently face. There was the impossibility of adequately translating cultural nuances and accents into this alien tongue, where “a garden salad” was the closest he could come to describing the Bengali practice of plucking a few gourds and bitter neem leaves off the trees and making them into a light, seasonal dish. There was the knowledge that an “Indian” novel in English would be treated as a curiosity—well into the 1970s, in fact, where a reviewer in England would call VS Naipaul’s The Mystic Masseur as a “little savory from the colonial islands”. There was, finally for Bankim, the lure of patriotism and the mother tongue. He had spent time on indigo plantations, recording the casual and savage oppressions of British rule. He had fallen out of love with a way of looking at the world, as much as he had fallen out of love with English; and the question of who he was writing for became urgent in his mind. He could not, he felt, write unless he was addressing his people, his countrymen, in their tongue. A century after Bankimchandra, Mulk Raj Anand (the novelist died in 2004) would make a very Indian complaint against the Ur-novel that signaled the beginning of the success story of Indian literature—Salman Rushdie’s Midnight’s Children, which has sparked more ambition, unfortunately, than discussion of Rushdie’s dark, subversive retelling of contemporary Indian history. Midnight’s Children covers two Partitions—the creation of India and the bloody birth of Bangladesh—but in the popular imagination, it has been reduced to a series of banalities, all of them prefaced by the adjective “Booker-winning”. Mulk Raj Anand’s complaint against Midnight’s Children is worth re-reading; he begins with dismissal, and one can imagine how he would have approached the gathering that took place at Neemrana. He also appears to completely miss the point of Midnight’s Children, and that, too, is part of the history of misreadings and misunderstandings that are woven into the history of Indian writing in English. That sweeping condemnation is interesting on two counts. It attacks the outsider’s account of India—Naipaul, who travelled extensively in the country, and Rushdie, who grew up here and whose book is steeped in nostalgia for Bombay, are clubbed with Katherine Mayo (whose “drain inspector’s report” is still, inexplicably, on the list of books banned in India), with Nirad C Chaudhuri, proud dhoti-wearing imperialist, and Ruth Jhabvala, another Indian immigrant and resident. I found it fascinating that Mulk Raj Anand pilloried Rushdie for the crime of disrespect to the family, that he complained—as critics often do of Rushdie and other writers on India—that the writer hadn’t been polite enough, that they shouldn’t have written so openly, or so critically, of family, or community, or country. There is a deep area of discomfort here, in these critiques, in the constant battle over authenticity and viewpoint, that is summarized in the crime of being rude to one’s elders. As the authors sat in the cool conference rooms and shaded alcoves of Neemrana, discussing the burning questions of the day—“Who Is An Indian Writer?”—tensions had been growing between the village and the hotel management, not an uncommon situation in today’s India. The hotel had come up out of the tired, worn-out remains of a derelict fort; Aman Nath and Francis Wacziarg had poured love, imagination and cold cash into restoring the place and running it as one of India’s earliest boutique hotels. But the village that shared the hill with the fort had its own set of demands (some unreasonable, for sums of money that were neither owed nor justified, some reasonable, such as the complaint that the lives of the villagers were interrupted by the comings and goings of the hotel guests). Neemrana’s villagers knew the simmering resentment that accompanies being on the wrong side of a pair of gates that will always be locked against you and your kind. An argument erupted over who was responsible for the pig-murder, and who—the hotel, the guests, our car—would pay compensation. It continued until someone found a plastic bag, picked up the pig’s carcass and deposited it on the side of the road, an action so baffling in its disregard for ritual pollution that the arguments stopped short, and our vehicles were allowed to go on, back to Delhi. The pig lay on the side of the road, a thin line of blood lipsticking its jaw, the only evidence of the accidental violence that had occurred; it looked serene, its dead features composed. It would come up again and again; for years, the way in which Naipaul’s works were discussed in India was infected with this viral anxiety. His India books were rarely discussed as part of his general oeuvre of travel writing, where he had been equally provocative and just as willing to offer sharp, unvarnished, if not always accurate opinions. The few historians and critics who offered more nuanced criticisms of Naipaul’s writing—was his view of Indian history accurate, for instance—were drowned out by the many who saw him just as another chronicler of India’s heat and dust and filth. In the 1990s and the 2000s, discussions of that twinned-in-opposition pair, Naipaul and Rushdie, degenerated under the weight of gossip. Except for a few considered pieces by cultural critics like Amitava Kumar or historians like Ramachandra Guha and William Dalrymple, the shape of what we argued about when we take Naipaul’s view of history versus Rushdie’s perspective on India shimmered and disappeared under an avalanche of stories about spats and divorces, short-lived feuds; they had been turned into performers in a circus act, not writers. In a sense, we had always been sensitive as a nation to what was written about us; non-fiction about the US, for instance, seldom drew as many reactions, fuelled equally by anxiety and exasperation. The anxiety came, in the reading of many, from seeing any narrative that interrupted the neatly seductive story of India Shining; the exasperation came from a smaller band of Indians who were tired of having what they already knew and considered familiar explained to them in exhausting and unnecessary detail. This debate would come up again in 2011, as Pankaj Mishra attacked Patrick French for missing the real India stories in his “intimate biography of India”. French and Mishra skirmished for a while in the pages of Outlook. The broad thrust of Mishra’s argument was that French had overlooked, or provided superficial accounts of, the darker side of contemporary Indian history—the poverty, the real hungers and tragedies behind the Maoist conflict. French contested Misra’s reading of his book, and it became clear that the real argument was over divergent views of India—was this a country progressing despite the burden of history and the indifference of the middle classes, or was this a country still mired in ancient inequities? As the debate overflowed onto other editorial pages, it seemed that there could be no meeting ground here. One part of the debate—a small but not unimportant part—concerned that original, anxious question, which I’ll take the liberty of recasting slightly: who is writing about us? Do they have the right to tell our stories, and are they telling the right ones? In the 1790s, Dean Mahomet published what is considered the first work in the corpus of Indian writing in English, The Travels of Dean Mahomet, A Native of Patna in Bengal, Through Several Parts of India, While in the Service of The Honourable The East India Company Written by Himself, In a Series of Letters to a Friend. The enterprising Mr Mahomet may have bent the truth with the claim that his work was “written by himself”; as the scholar and professor Amardeep Singh notes, the first Indian writer in English was also the first to attract accusations of plagiarism, since he had borrowed portions of his account freely from contemporary sources. But Mahomet, whose English was fluent and appropriately florid, given the conventions of the age, was very clear about his audience; the first work in the Indian writing in English library was very definitely written for the West. Every sin in the list of charges flung at the heads of Indian writers in English is represented in the Travels: Dean Mahomet explains words like purdah and chik (purdoe and cheeque, in his spelling), uses Anglicized spellings for place names and people (Bightaconna for Baithakkhana, Bestys for bheeshti), is guilty of exoticism, devoting three paragraphs to a description of a Nabob who enters in grand style, provides a glossary (two, actually) and makes sweeping generalizations about the customs of the Hindoos and Mohametans. But Dean Mahomet’s position is more interesting than a superficial reading will admit; his travels, plagiarized or not, claim to be an insider account. Previous travelers to India, from Thomas Roe to Hieun Tsang, may have become insiders after their years in the country; in India’s vast array of regional languages, the theme of the wanderer and the curious traveler has a centuries-old tradition, especially in religious and spiritual writing. It is not the audience Dean Mahomet addresses—his readers, in his mind, are clearly English, not Indian—so much as the assumptions that he makes by writing the Travels that interests me. This is the 1790s, the book is intended to be read by the English, and Mahomet, a man of some enterprise, has access to the English language, and assumes that he will have an audience for a book on India. What he has to sell in the grand bazaar of English writing is not just his exoticism; it’s also his position as an insider, a man who is Indian and who knows India in a way that the Angrez may not. He is, in effect, the first Indian writer to act as travel guide, and he takes up his duties with a complete absence of self-consciousness. The next two major accounts by Indian writers in English were significantly different from Mahomet’s travelogue. In 1835, KC Dutt wrote A Journal of Forty Eight Hours of The Year 1945, a slim, early attempt at a novel; in 1845, just a little under two decades before Bankimchandra published Rajmohan’s Wife, SC Dutt wrote a similarly slim but ambitious work of fiction, The Republic of Orissa: Annals from the Pages of the Twentieth Century. Both works were published in the Calcutta Literary Gazette; established in the 1780s, this periodical also had the distinction of publishing writers like Michael Madhusudan Dutt, another pioneer who struggled to find a balance between the seductions of English and the more solid, comforting attractions of his mother tongue, Bengali. KC Dutt and SC Dutt established an early affinity with speculative fiction in Indian writing in English—an affinity that is, unfortunately, seldom acknowledged. Both works are too slender to be classified formally as novels, but are fascinating for two reasons—the timing, and the form. Twenty-two years before the Revolt of 1857, KC Dutt imagined a revolt against the British, to take place in 1945—but in his rendering, the revolt would be orchestrated by Indians who had been educated in English. And this is fascinating: Dutt’s imaginary mutiny, the rebellion of the educated Indian with access to English, was written in the same year as Macaulay’s Minute on Indian Education, with its infamous comment that “We have to educate people who cannot at present be educated by means of their mother-tongue.” Ten years after KC Dutt’s fantasies of language-enabled rebellion, we have SC Dutt’s fantasy, set in the 20th century, of a future India where the British have been defeated, and an independent democratic republic has been established in the state of Orissa—this fantasy of political independence following on the heels of KC Dutt’s dream of linguistic independence, both anticipating the events of 1857. With KC Dutt, SC Dutt and Bankimchandra—who would later reject English, renewing his allegiance, political and linguistic, to the mother tongue—there was also an assumption that they were writing for both kinds of reader: the one at home, and the one abroad. This balancing act would become commonplace for Indian writers in English, as it had for this generation of Latin American writers in English, or African writers in English. Often, what the collectors of that time picked up from Japan was unremarkable — the dross of everyday life, mass-produced objets d’art mingling with the rare and the exquisite. As de Waal recounts so beautifully, this early hunger was replaced by first a refined connoisseurship, and inevitably, a waning of the interest in Japonisme, a return to the less exotic and the more local. In early 2011, as new books on India by Patrick French and Anand Girdharadass were released, that familiar debate had come back to us, reheated and freshly garnished. Pankaj Mishra’s argument with French was over the content of the book—Mishra was unable to recognise or reconcile his vision of India, one of cruel economic inequalities and a dominant, often bullying, state, with French’s more upbeat India story. Reading between the lines, the real anxiety was over French’s portrait, not the quality of his reportage: was this the authentic India, or had he missed the big story? Elsewhere, in a joyously savage piece of provocation, Mihir Sharma flayed India Calling, by Anand Girdharadass, for shallow journalism, and slammed the stereotypes of India that find their way into the “foreign correspondent” book. But the real debate became the one that tore Indian writing in English apart about a decade ago; it’s the question of what makes a book about India the genuine article, and who has the right to “represent” the country. The “authenticity argument” was rapidly buried, with a few stray knives in its back, in the world of Indian fiction — few readers, writers or critics wanted to police books to see how their Indianness rated a scale of one to ten. One of the most memorable battles in that short-lived war was the skirmish between the late Professor Meenakshi Mukherjee and the writer Vikram Chandra. It began when Dr Mukherjee questioned the choice of titles for Chandra’s short stories, in his collection Love and Longing in Bombay. 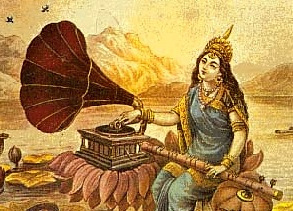 To her, his titles—Artha, Dharma, Kama—were “necessary to signal Indianness in the West”. I wish to shew how the Raj is done. This is the play of children, good adept, rest easy. You must have the following ingredients. (It matters little if one or another be wanting, nor is the order of essence. Introduce them as you please, and as often.) Let the pot boil of its own. In most discussions of Indian writing in English today, we are still not comfortable, outside of parody, acknowledging what might be called marketplace realities. In the years when Indian writing was doing well, like a hardworking honour student, in the West, we were happy to measure our importance and success not by the literary impact of a Kiran Desai or a Salman Rushdie but by the sales figures and the prize shortlists. What we are all uncomfortable acknowledging is that the West —shorthand for the complex markets and divergent reading tastes of the UK, the US and a large swathe of Europe — has a sharply truncated view of Indian writing. Imagine assessing all of European literature by reading only works in Polish, or only works in Italian—that, in the absence of a market for translations of Indian fiction, is the position the West is when it reads “Indian writing”. And as long as the market is open only, or chiefly, to Indian writing in English, this blindness cannot be overcome. There is also the question of economic power—with access to larger audiences abroad, publishers outside India can and do dictate who has that access, what kind of stories travel from here to there, what books will be considered future Indian classics. There is an inequality in the system, inevitable, inescapable and often resented. Much of the unease expressed by Mishra, and in a different form by Sharma, and earlier, by Sealy and even Mukherjee, comes from questioning the need for the Big India book — at some level, we understand that these books are very rarely written by Indian journalists, and that the stories they tell, whether simplified or not, are influential even so. Some of the unease comes from a sense of disenfranchisement; it is telling, for instance, that there seems to be little need for the Big India book in Hindi, or Urdu, or Marathi. Outside of English, we lack either the curiosity or the need to explain India to ourselves. What the West sees of Indian writing would be ridiculous, if that view wasn’t so influential; as with the age de Waal describes, where all of Japanese culture and history could be interpreted through the shlock, detritus and masterpieces of the art world. Over the last 30 years, some realities have been inescapable; Indian writing in the Western world is defined largely as Indian writing in English, with very few translations making their way abroad. Writing from the margins —Dalit writing, the resurgence in Indian poetry in English, writing from the north east — is rarely visible, and when it is visible, it’s exoticised, here and abroad. And by its nature, Indian writing in English has been largely privileged writing — if not quite limited to the sons of St Stephens’, most contemporary writers in this language come from the relatively enfranchised middle class, and their work reflects the limitations of their backgrounds. The Census 2001 figures, recently released, revealed that English had effectively become India’s second language, behind Hindi. Many of the new English speakers come from the small towns, or belong to areas of the metros that lie outside the charmed circles of privilege. English belongs to them now as much as it once did, about two-three decades ago, to the old class of writer-Brahmins. And as this generation begins to tell and write their stories, they may not need to beguile the souks of the West with their Indiennisme. 125 million English speakers, out of whom a much higher percentage has made it their first language in the decade since the Census data was collected, is enough to make its own marketplace. If that happens, this new generation of writers might finally be able to step away from the debates that have come down across a century-and-a-half of Indian writing in English. Or perhaps they will find a new set of things to argue about. In the years before the call-centre phenomenon spread across India, adding an American accent to Indian English, the first signs of the hunger for English—a language that might offer a passport to better jobs, more money, more status—showed up in the India of the 1980s and the 1990s in the ads for the very popular Rapidex English-speaking course. Their spokesman was the cricketer Kapil Dev, whose contribution to the ad was to speak about its effectiveness, not in a BBC-tinged accent or in the beloved fake-Yank accent, but in heavily accented Indian, Haryanvi English. It was a kind of claiming of the language as our own, the way KC Dutt and SC Dutt had attempted to claim the right to write for an audience of Indian readers, the way Bankimchandra had struggled in Rajmohan’s Wife to convey the accents and emotional grammar of Bengal in this alien but covetable tongue. I like the enterprise behind that promise. I think, in many ways, we are all still trying to learn how to read in Indian, even if we don’t always have the right glossaries. Amazing piece. You now have a reader for your upcoming book. Amazing piece. You now have an enthusiastic reader for this book.